I am a gifted channel, and spiritual advisor. Through the tarot, numerology and astrology a clear and precise picture is given, plus channeling and spiritual trance is a blessed gift for good and accurate interpretation. My most accurate and favorite adviser for approximately the past 20 years on keen. She deserves a million stars!!! Thank my friend for always keeping me grounded and easing my mind. I'm a gifted channel, with over 20 years experience. An ordained minister with classes in light rays use and understanding, tarot teacher and numerologist. An understanding of the Kabala and Angelic Forces for mankind. I also, through years of experience and studies am capable of understanding and helping with dysfunctional relationships and addictive behaviors. I am the person suited to help alot in all areas of life. Call me or e-mail for accurate answers and results. I look forward to working for you and with you. Through the use of the tarot, numerology and astrology a clear picture is given. Be sure to include your name and birthdate. For soulmate readings include their name and birthdate. Email Readings will be answered within 24 hrs. May Many Blessings Come Your Way..
Daisey644478 has been a user of Keen since 2002. 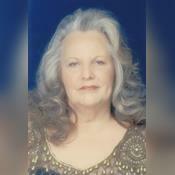 Getting Spiritual Readings advice from Daisey644478 through www.keen.com is safe, secure and confidential.